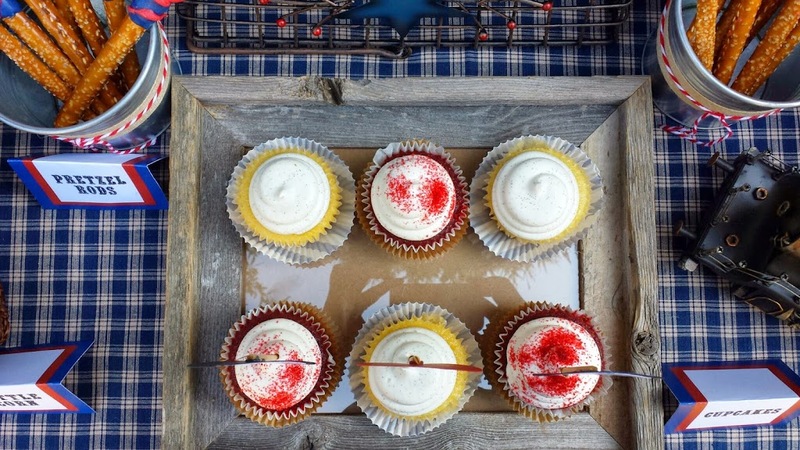 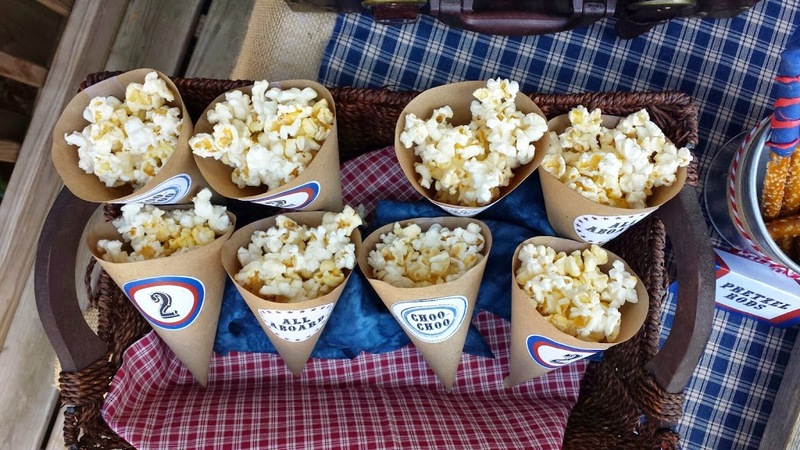 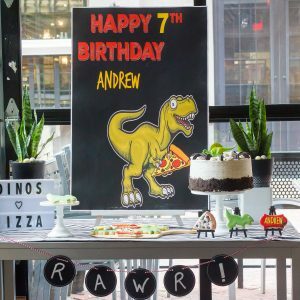 Trying to come up with ideas for your kiddos’ next birthday? 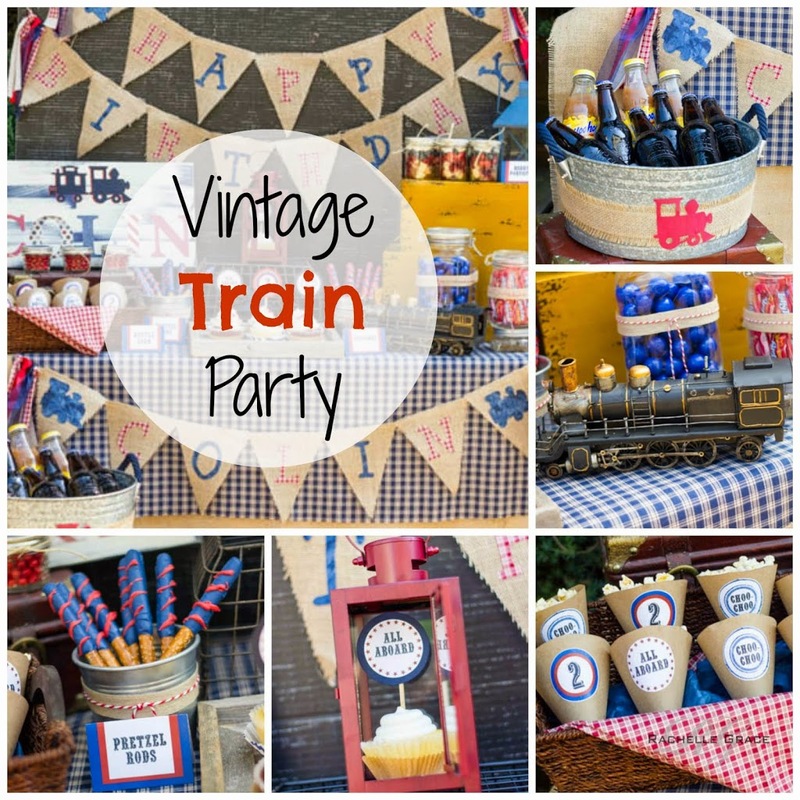 Think Choo Choo Trains… My little ones love anything that is on the move, so I have a PINTEREST BOARD dedicated to party ideas for planes, trains, automobiles and other things that go. 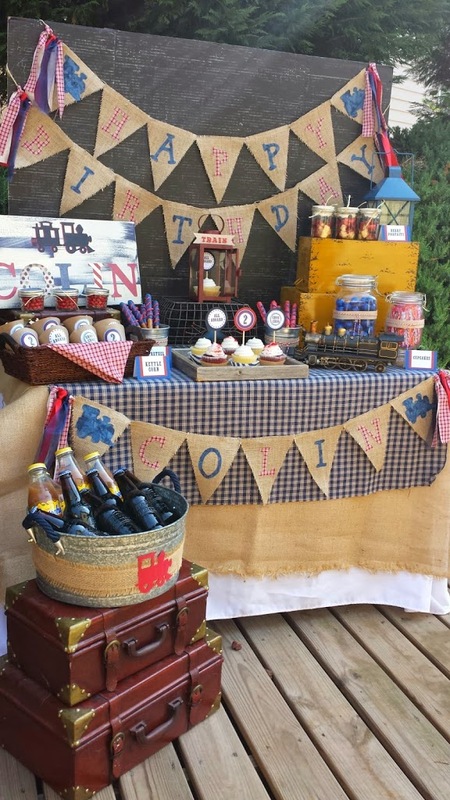 I was so excited to design this vintage train dessert table for a client who was planning her son’s second birthday. 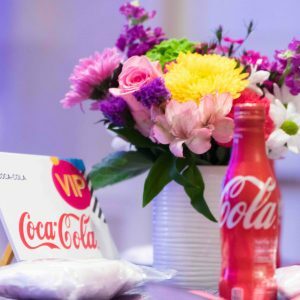 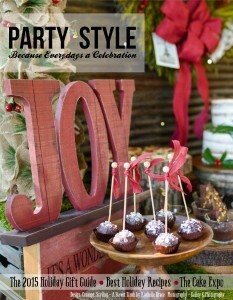 The invite is the opportunity to set the tone and theme of the event for your guests. 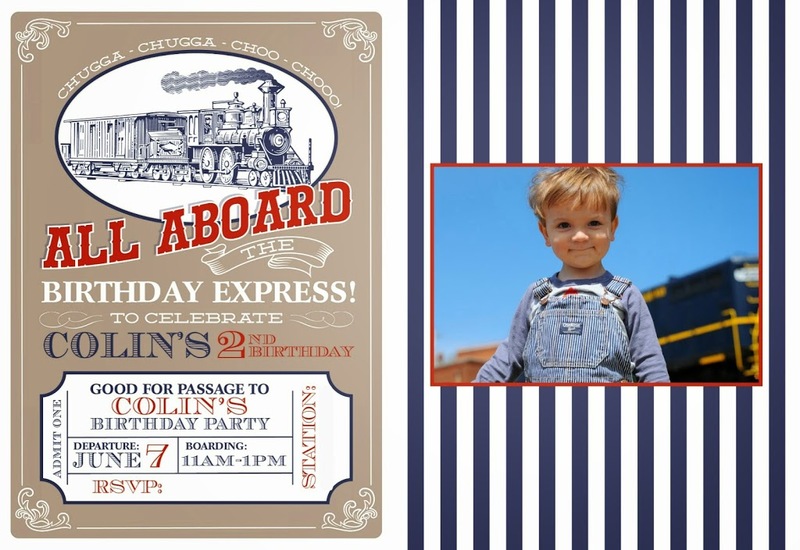 An adorable photo of the birthday boy in his striped blue overalls was added to the back of this two sided vintage train invitation by Hank and Petunia. 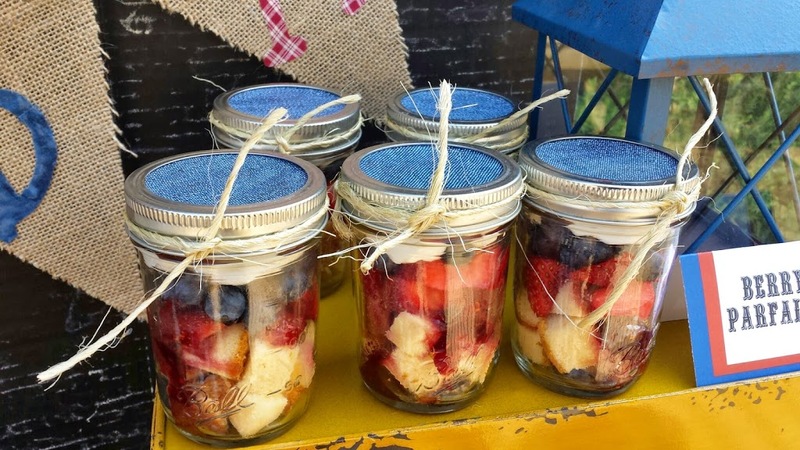 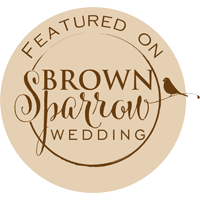 For the decor, classic color choice of red white and blue were mixed with burlap to add to the vintage look. 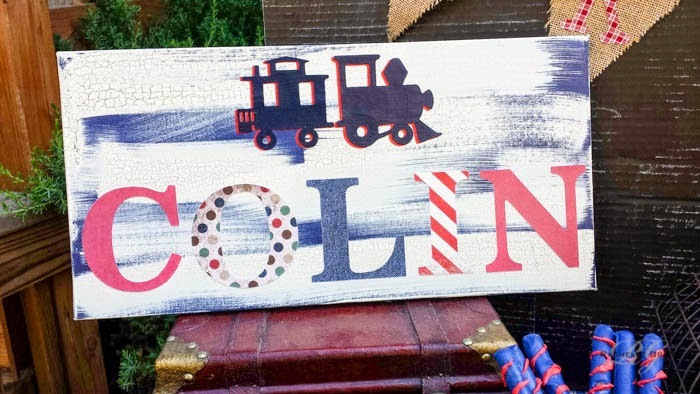 In addition to the hand made burlap banners, a multi dimensional canvas featuring the birthday boy’s name was also made to add another personal touch to the decor. 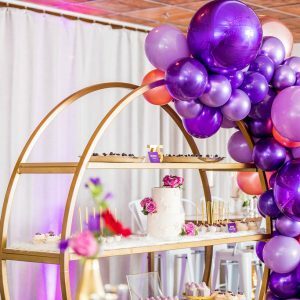 Desserts chosen for the table included colored to match candy, chocolate covered pretzels, kettle corn, vanilla bean cupcakes, red velvet cupcakes, and mixed berry parfaits. 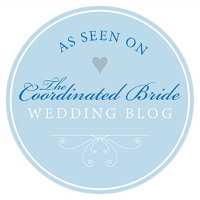 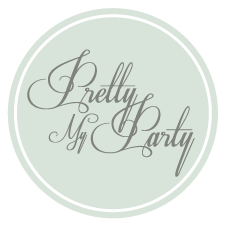 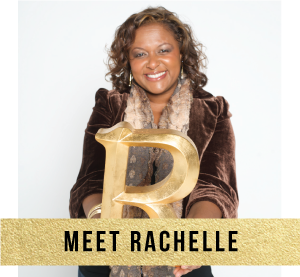 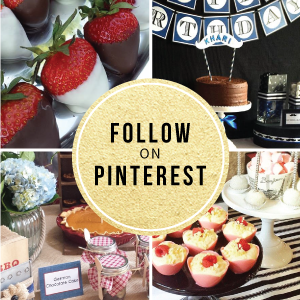 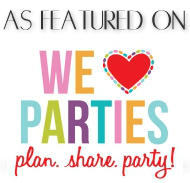 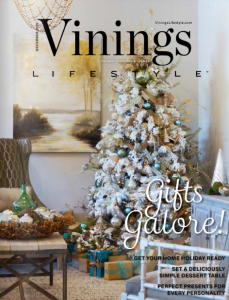 Join me on Pinterest for more party ideas and decor inspiration.